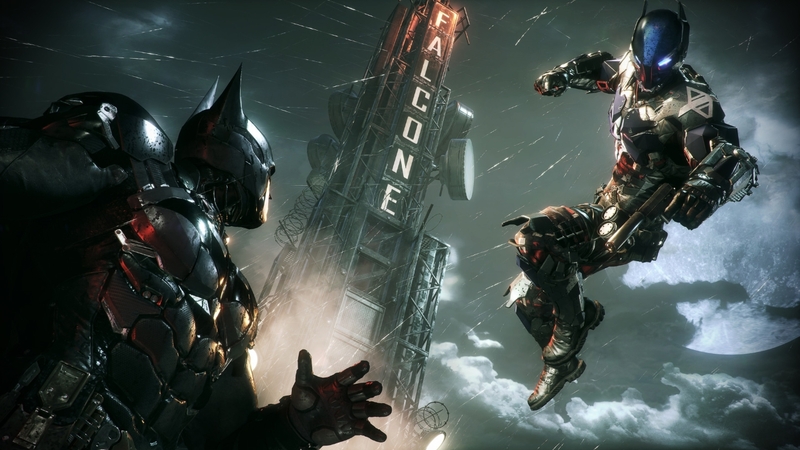 Batman: Arkham Knight, which was released on June 23, was certainly one of the most eagerly awaited games of the year. And early reviews pointed to another win for developer Rocksteady, as the game’s Metacritic score stands at 89 at the time of writing. Although some reviews such as GameSpot’s have criticized the game’s use of the Batmobile – namely the way it is forced on the player in order to progress in the game’s story and how several action sequences in which Batman has to deal with enemy tanks in the Batmobile are repetitive and not that fun to play. Also many gamers were baffled as to why publisher Warner Bros. had only provided PS4 versions of the game to reviewers ahead of the game’s launch – were there issues with the other versions? And it seems the fact that the Batmobile sections of the game happen to be slightly boring is the least of Warner Bros. concerns, because the PC version of the game has turned out to be a disaster, with all sorts of bugs and crashes that have rendered the game unplayable for many. And there were all sorts of bad reactions from users who posted thousands of negative reviews on the Steam digital distribution platform, and from the gaming press. And in an unprecedented move, publisher Warner Bros. has suspended sales of Batman: Arkham Knight, until the issues plaguing the game can be solved. This is certainly embarrassing for a major publisher like Warner Bros., and in a statement they issued on their website they even recommended that users upset about the game’s quirks should resort to Steam’s new refund policy and get their money back. And this is probably something many will do, as right now the game appears to be as stable as schizophrenic villain Harvey Dent (aka Two-Face), who is one of the villains that feature in Batman: Arkham Knight. 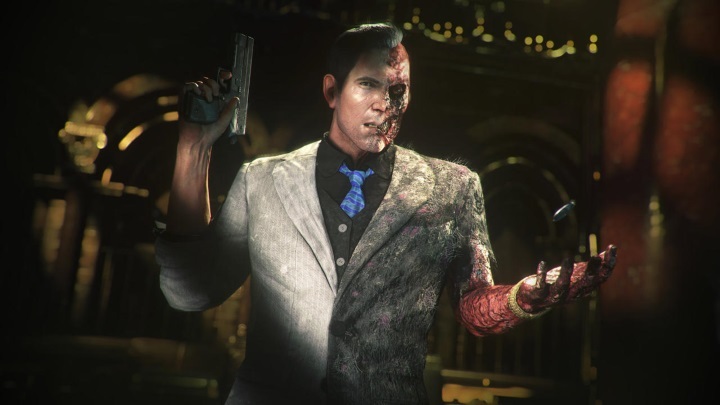 PC gamers who bought Batman: Arkham Knight spent more time dealing with the game’s problems than fighting villains like Two-Face. And it seems that the fact that developer Rocksteady outsourced the PC version to an external studio is the reason behind this sad state of affairs. You see, the PC port of Batman: Arkham Knight was done by little known studio Iron Galaxy. And it appears that Iron Galaxy, who were also behind Killer Instinct Season Two, were not up to the task, given the disastrous launch of Arkham Knight on PC. All this highlights just how challenging developing major video games these days is, as games nowadays are made with budgets comparable to major motion pictures and teams of hundreds of people. And it makes sense that Rocksteady focused on the PS4 version of the game – after all, Sony’s machine has been the star of this console generation, having outsold its rivals by millions of units. But outsourcing the PC version to a developer with little experience like Iron Galaxy suggests that the PC port of the game was something of an afterthought for Rocksteady, and this is clearly a mistake given how challenging PC development is. This is mainly due to the lack of unity of the platform – PC specifications vary wildly, and there are many different models of graphics cards for instance – so the game would require a tremendous amount of testing to make sure it runs well on most PCs, something a studio like Iron Galaxy clearly did not have the resources to do. In the end though, it would have been a wise move by Rocksteady to delay the PC version of the game, instead of releasing a port that is clearly a mess. The PC market is becoming increasingly important, and treating PC owners like second class citizens in this day and age is simply not acceptable. And when other major games like Shadow of Mordor had rock-solid PC versions, it is more baffling why Rocksteady would allow a PC version to be released in this state. But at least Warner Bros. knows that PC owners deserve better than this and hopefully PC gamers will get to play the definitive version of the game when Batman: Arkham Knight goes back on sale in the future. Note: At the time of writing Warner Bros. has not specified when the updated PC version of Batman: Arkham Knight will be available. If you purchased the game through Steam and wish to request a refund, you can do so here. Shenmue 3 Is a Kickstarter Success, but Is the Game a Risky Bet for Sony?